If there is one item home inspectors love to spot problems with, it’s water heaters. Probably because they’re the easiest to spot. But for the average person, issues with water heaters might not be so readily apparent. Here are some common items that most people can spot and correct before the inspection. 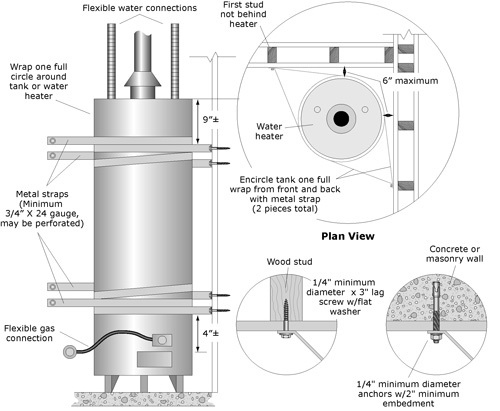 One of the most confusing and difficult items to explain is bonding around the water heater. It partially has to do with that fact that bonding involves electricity and water heaters are plumbing. Simply put, think of bonding as a way to prevent a shock hazard if the pipe gets electrically charged. 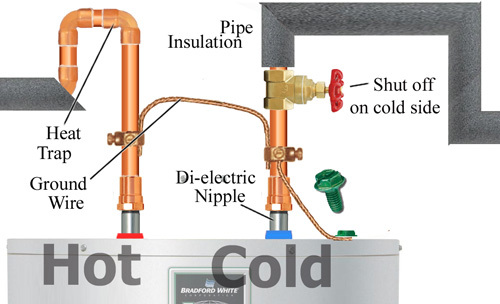 A copper wire (6 AWG – American Wire Gauge) should connect the hot and cold water line above the water heater. The fast and easiest item to spot is the Temperature Pressure Relief (TPR) Valve Drain Pipe. 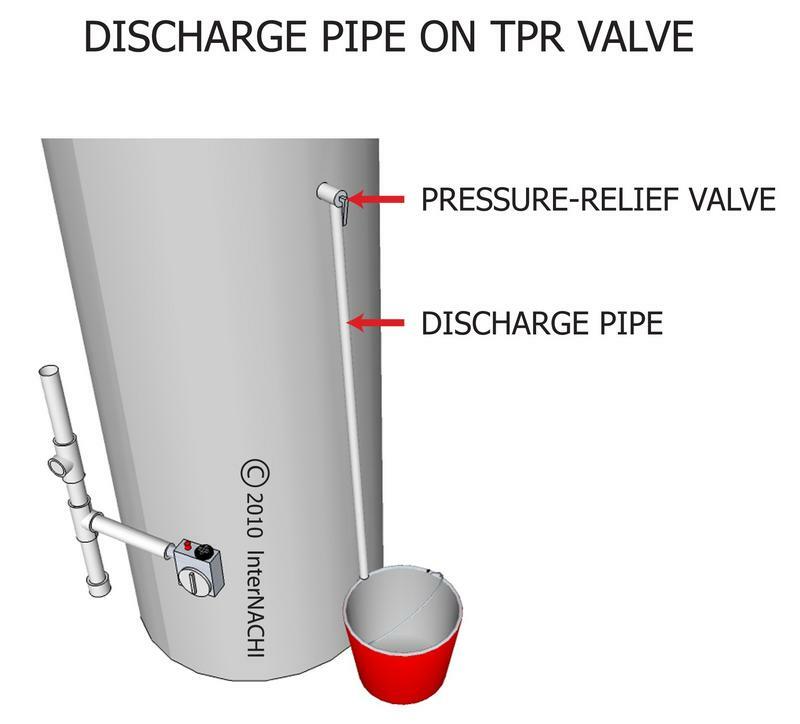 Without getting into much detail, TPR valve releases pressure and water from the water heater if it over heats and literally prevents it from blowing up. A drain pipe should be connected to the valve and drain within 6” from the floor and in a location that will not cause more damage to the building. Here in California everyone knows the earth is going to shake from time to time. 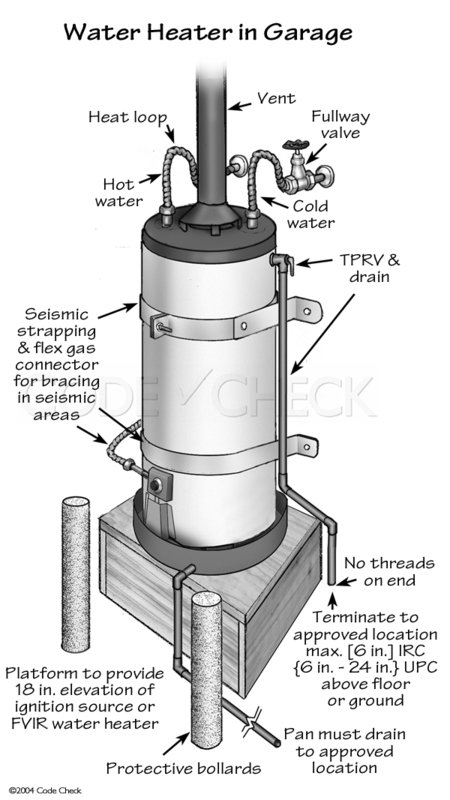 Strapping and Blocking around the water heater prevents it from falling over and breaking the water line which could cause a much more costly water damage problem. There should be two straps. One around the upper 1/3rd and one around the lower 1/3rd of the tank. 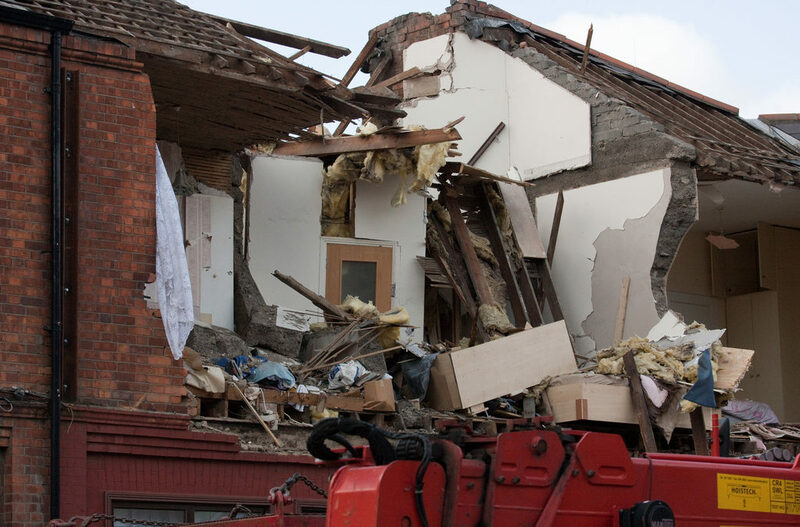 The tank should be right up against the wall or against wood blocks so it can’t move without the whole building moving. Drain pans should be installed under the water heater to prevent water damage if it begins to leak. The pan should also be attached to a drain pipe so the pan doesn’t become over filled. The pan drain line can either drain near a drain or outside (6” to 24” inches above the ground), preferably in a location that is easily visible.